Guanabana is a powerful cross of Amnesia Haze* with a White Widow. It takes characteristics from both its parents being both potent and flavoursome with subtle hints of fruit. It has strong branches which produce multiple compact buds which produce an intense smell. This strain can grow big so vegetative period is kept short. 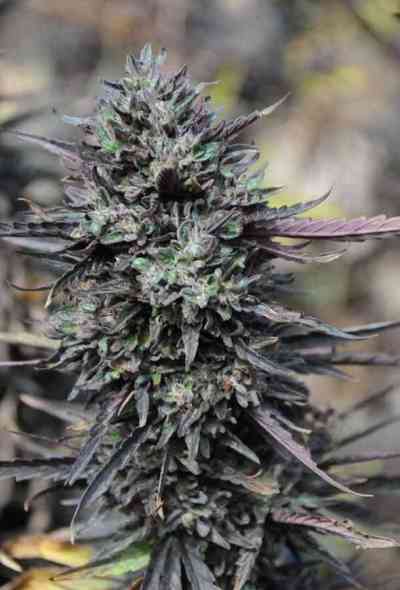 It is a very quick flowering sativa that can be grown indoors or outdoors. (*) Winner of 1st and 2nd Prize Cup Sanferweed by Highlife BCN 2008 in Haze category. Winner of 1st Prize outdoor Uruguayan First Cannabis Cup 2012.